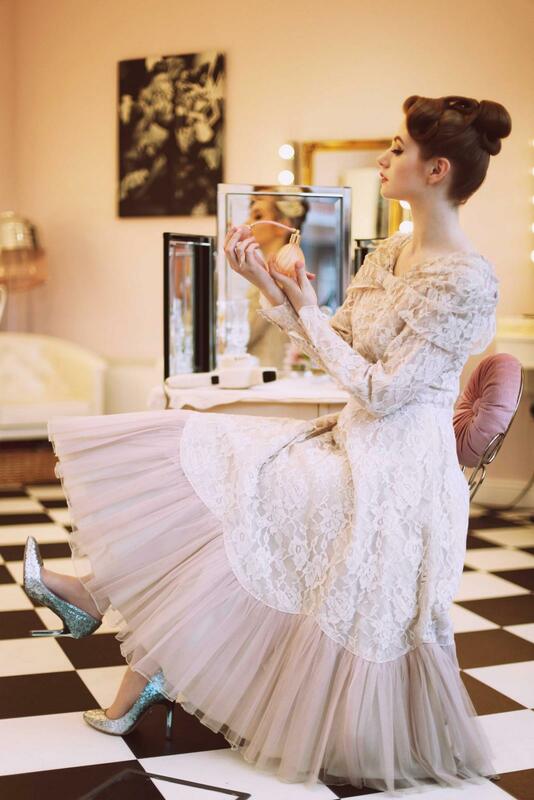 The 1950s style is the most popular decade for a vintage wedding; we seem to all love the romance of a full ballerina skirt and a cute short veil. It was a great decade for vintage wedding dresses with most brides choosing to wear a traditional long dress in silk and lace with long sleeves, fitted waists and full skirts to show off their hourglass figures. 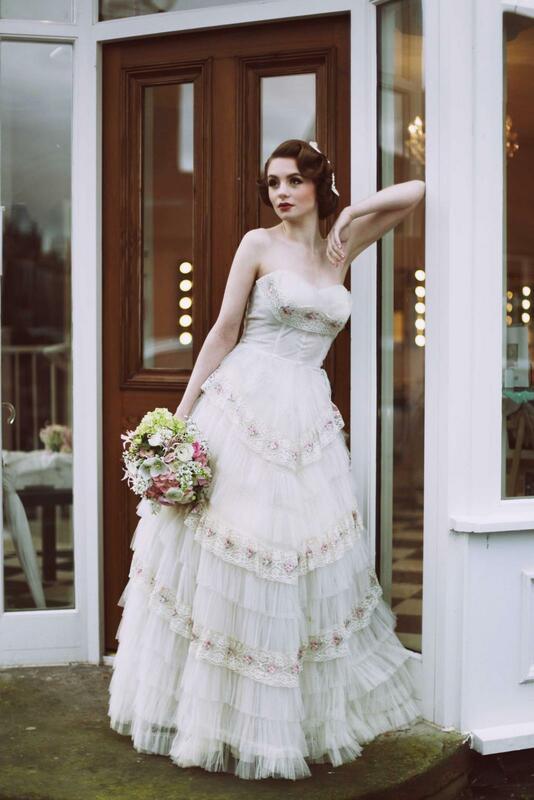 When we picture a 1950s vintage wedding now however, it is often a shorter style in the classic “fit and flair” shape that springs to mind, however in reality very few brides chose this look. These tea length or ballerina gowns were influenced by Audrey Hepburn, but interestingly not from her own wedding. In the 1957 film Funny Face, she arrived on our screens wearing the perfect short wedding dress, designed by Givenchy, teamed up with a short full veil, short gloves and a nosegay of flowers. 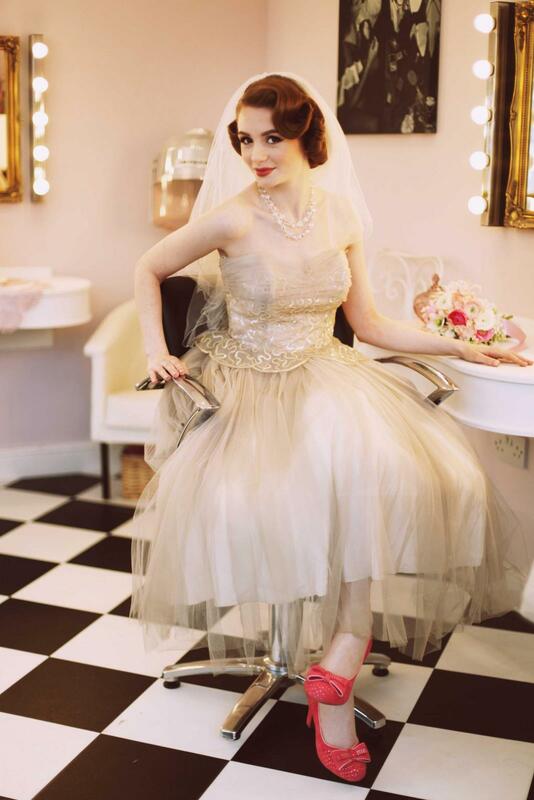 If you want to recreate this 1950s style wedding, consider these ideas to get the look. Think lace, full skirts, corseted waists, sweetheart necklines, halter necks, asymmetry, brocade fabric, ballerina length hems - the lot! Designs were flirty, fun and perfectly celebrated the hourglass figure! After the bleak war period this is exactly what the fashion world needed and was seen by all as a breath of fresh air. This look is perfect for womanly figures and can also be very youthful. 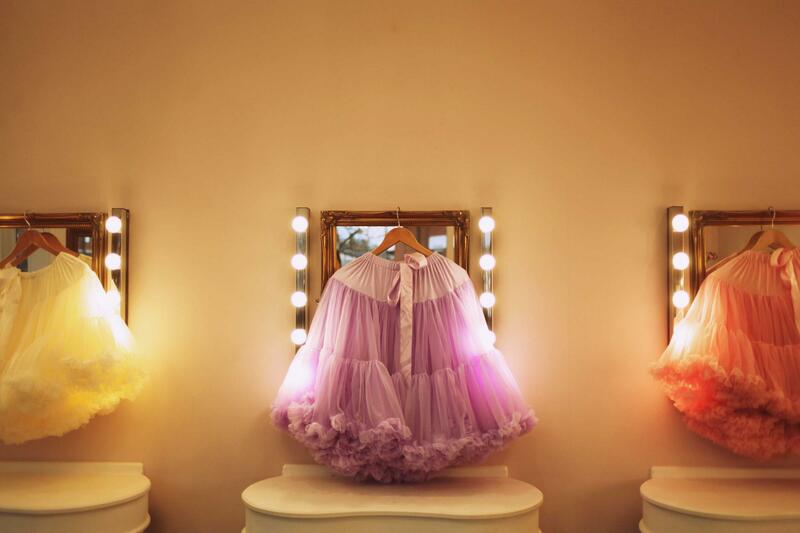 Add some colour by flashing the hemline of a full petticoat in a pastel or even a brighter shade, to match your wedding theme. They often come in a variety of lengths to team up with your dress; and I say, the fuller the better! The finishing touches should be vintage too! 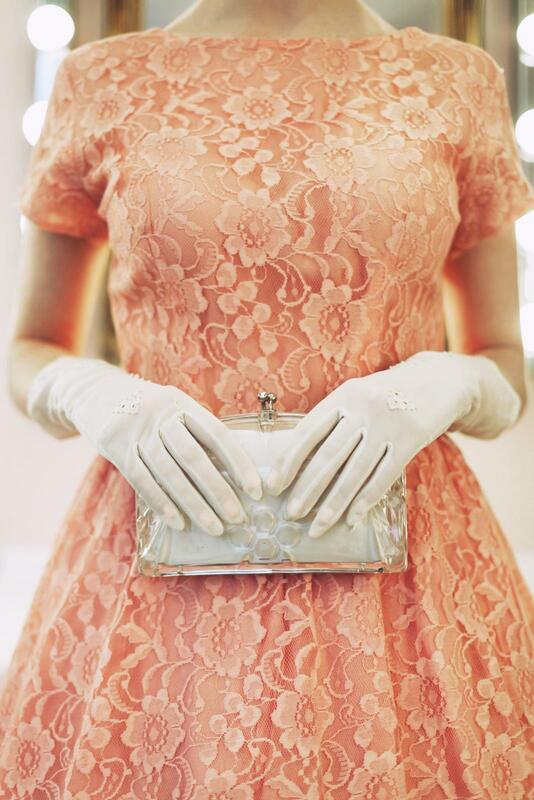 Add a structured clutch bag from the same era and short cream gloves too. A simple row of pearls around the neck will complete the look. While most brides chose full veils in the 1950s, a modern take on this is the bird cage veil. This is a more wearable option too for a city wedding and worn at a jaunty angle adds interest to your hair. Look out for one with beading or pearls to tie in with your wedding dress. I love it when a bride wears a short full vintage wedding dress in a classic ivory, then teams it up with a bold shoe to match with the petticoat or even as a contrast. The great thing is these shoes can then be worn again for years to come. Wedding cakes were three tiered and very traditional; think ivory icing with ivory piping over a fruit cake. 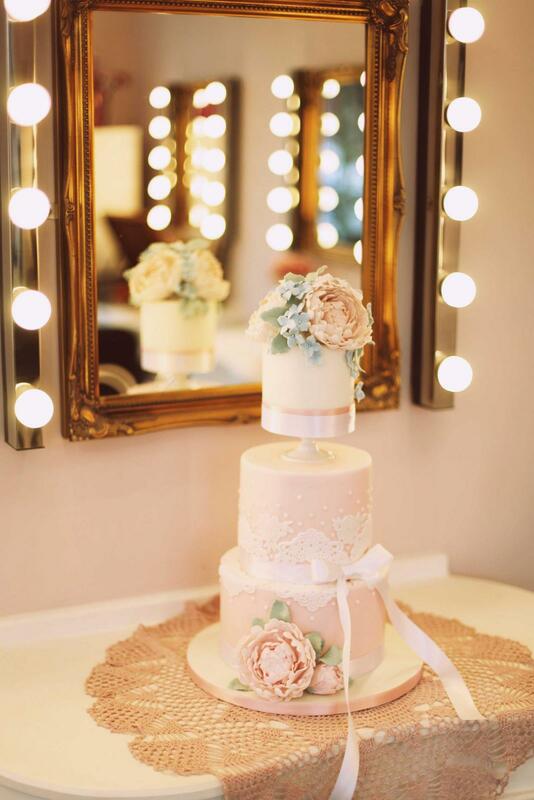 A modern take however could be this pretty pastel cake, with sugar craft peonies and a ribbon finish. Bouquets were tightly held together in a nosegay or posy. 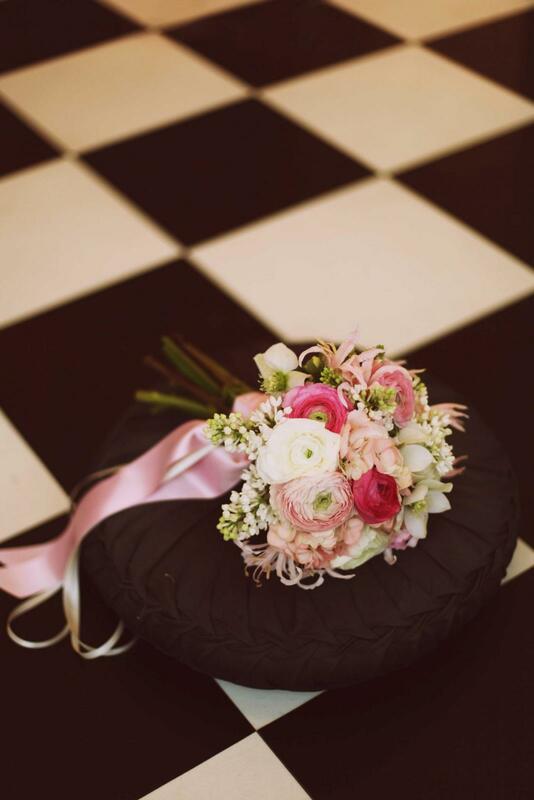 These were tightly packed bouquets with traditional flowers, but you could add modern blooms such as peonies which could tie in with your cake. If you are having a 1950s vintage wedding, make sure you dress the bridesmaids in the same look. There are lot of 1950s style dresses out there, in pretty florals to a bold print. I would suggest choosing a vintage reproduction style such as these if you want all your maids in the same dress though, and again they can be worn to parties after your big day. Finish the look with a floral wrist corsage. For everything all in one place, visit a creative wedding fair, such as the Magpie Wedding Show which returns to London on February 25th and Manchester on March 18th; it is a great place filled to the brim with original wedding dresses, as well as new ones, that you can try on as well as hats, headpieces, jewellery and flowers.